Succession Act, 1963, S.68 & S.69–Will–Proof of Execution-None of the attesting witness of Will was examined to prove the Will—Even no evidence has been led to prove signature of the testator of will-Will held to be rightly discarded. 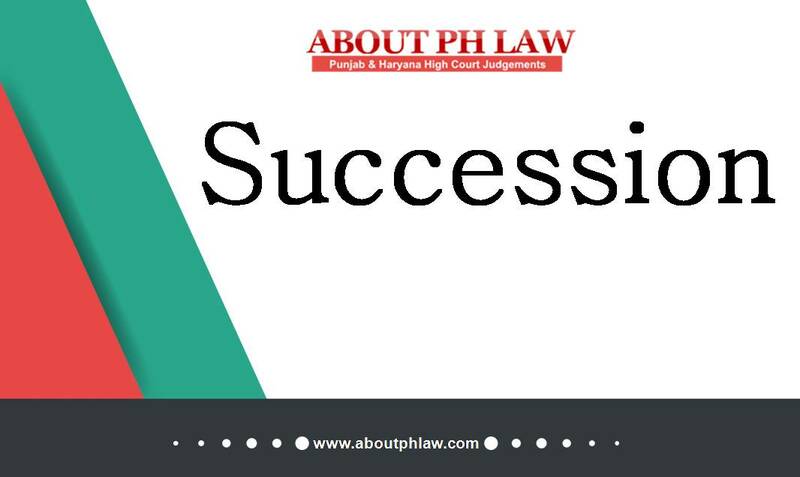 Comments Off on Succession Act, 1963, S.68 & S.69–Will–Proof of Execution-None of the attesting witness of Will was examined to prove the Will—Even no evidence has been led to prove signature of the testator of will-Will held to be rightly discarded. Succession Act, 1963, S.63–Will–Exclusion of Son—If the testator had any grievance to express qua behaviour of his son and that is why she wanted to exclude him from inheritance, nothing strange/abnormal can be found in her getting recorded that she did not want to give anything more to his son-Will held to be genuine. Comments Off on Succession Act, 1963, S.63–Will–Exclusion of Son—If the testator had any grievance to express qua behaviour of his son and that is why she wanted to exclude him from inheritance, nothing strange/abnormal can be found in her getting recorded that she did not want to give anything more to his son-Will held to be genuine. Will—Last Will—For later Will to prevail as last will over the earlier Will, later Will should have reference of revocation of earlier registered Will. Comments Off on Will—Last Will—For later Will to prevail as last will over the earlier Will, later Will should have reference of revocation of earlier registered Will. Will—Suspicious Circumstance—Testator was blind—It was not practically possible for a blind person to reach scribe of will all alone— Will discarded. Adverse Possession—There cannot be any adverse possession by one co-owner against another co-owner. Comments Off on Will—Suspicious Circumstance—Testator was blind—It was not practically possible for a blind person to reach scribe of will all alone— Will discarded. Adverse Possession—There cannot be any adverse possession by one co-owner against another co-owner. 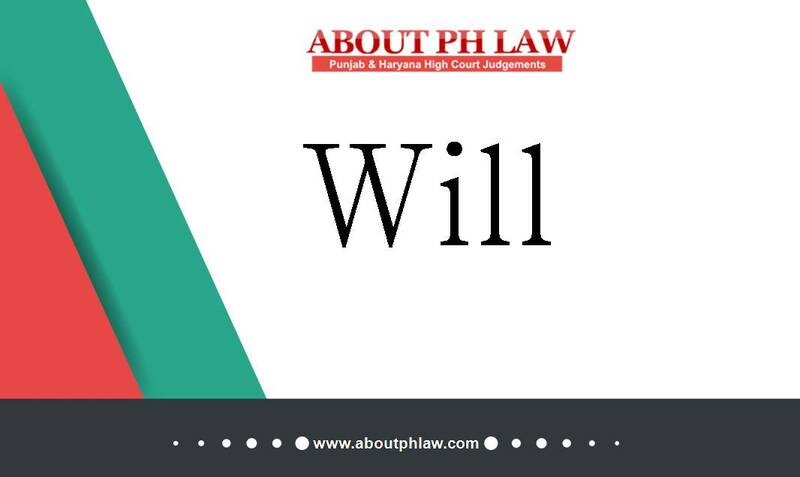 Will–Execution of–Suspicious circumstances–Attesting witness not known to her and even it was not known why she was called and who called her to attest the will is shrouded in mystery–Several cuttings and over writings were also in the will. Comments Off on Will–Execution of–Suspicious circumstances–Attesting witness not known to her and even it was not known why she was called and who called her to attest the will is shrouded in mystery–Several cuttings and over writings were also in the will. Will–Execution of–Testamentary disposition of the property by way of Will takes effect from the date of the death of the testator– If, the property has already been transferred by him prior to his death, that can never be the subject matter of the Will. Comments Off on Will–Execution of–Testamentary disposition of the property by way of Will takes effect from the date of the death of the testator– If, the property has already been transferred by him prior to his death, that can never be the subject matter of the Will.